If you are looking for our July Release countdown post, we have been delayed. Our sneak peeks will begin on the 7th this month and all sets will be available for purchase on July 10th. It will be an exciting one too, with 3 new stamp set and 2 new steel rule dies! In the meantime, I've got a little something to share with you today. What can I say? 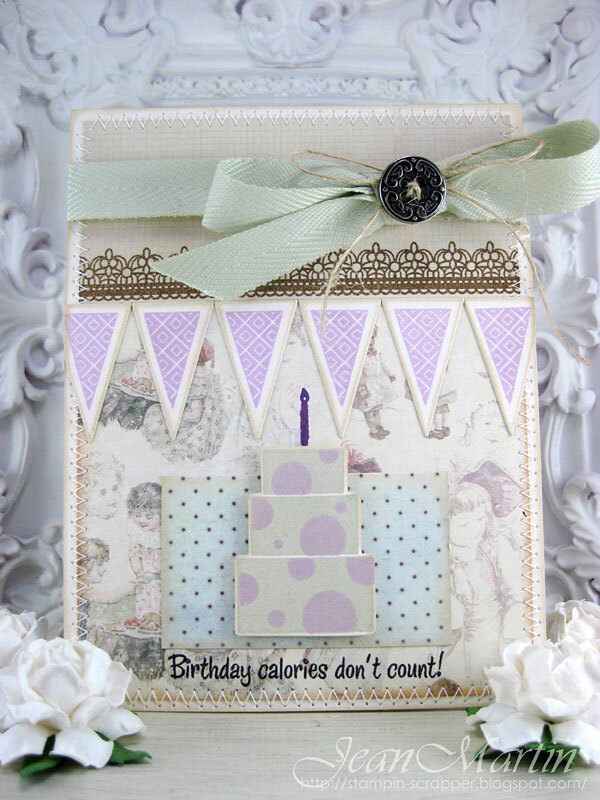 I'm on a shabby chic/layered kick lately. I had so much fun with this one. 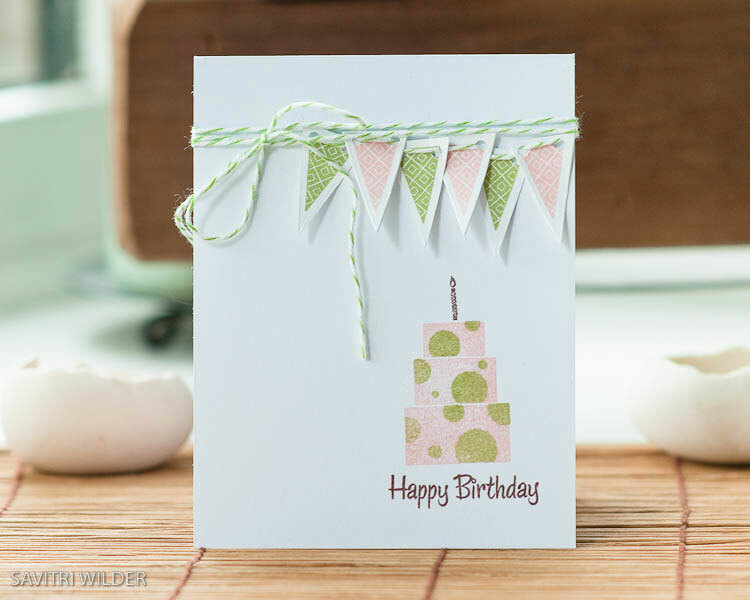 I paired the lovely Thrift Shop collection patterned papers from October Afternoon, along with Flora & Fauna I and Spring Post stamps to create this vibrant, fresh and crisp summery card. 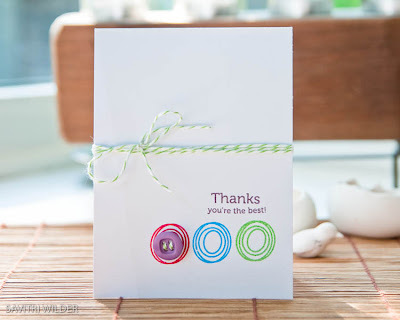 These little tags are perfect to have on hand. 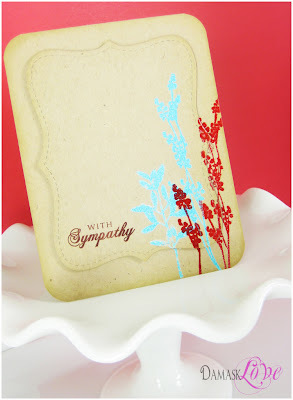 You can mass produce the same design with a couple of different sentiments and color combos. 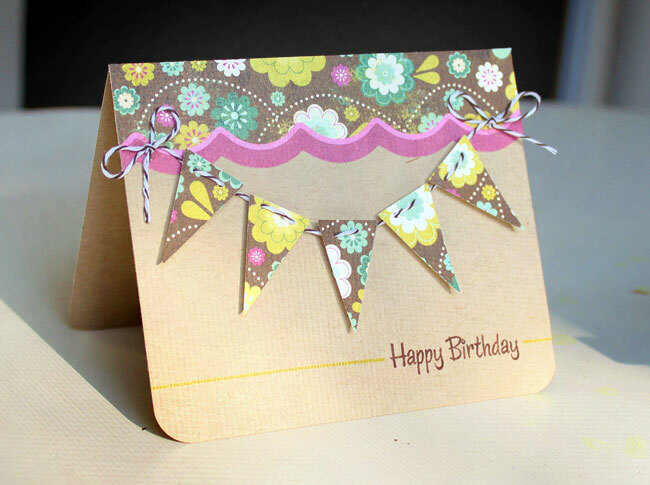 Use them on the front of a card, or to add to a gift bag when you need something quick. 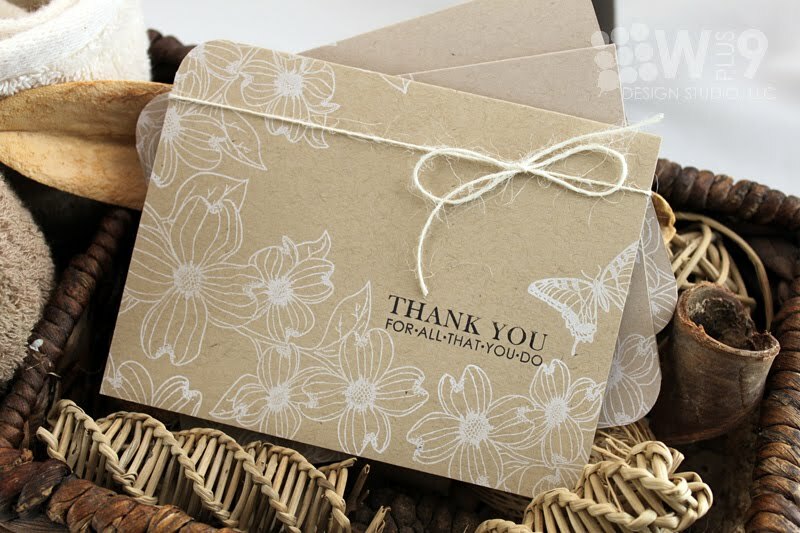 Hope your week is off to a great start, thanks for stopping by! 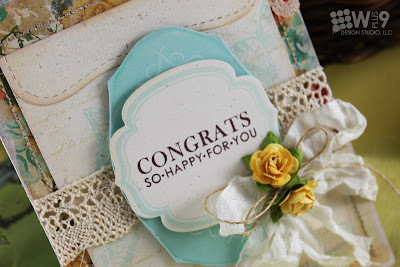 Join me in congratulating our very own Cristina as she is spotlighted over on the Papercrafts Magazine blog. Our very own cover girl, Cristina, has 10 cards published in the current Stamp It! Cards issue, including the cover! Congratulations Cristina! 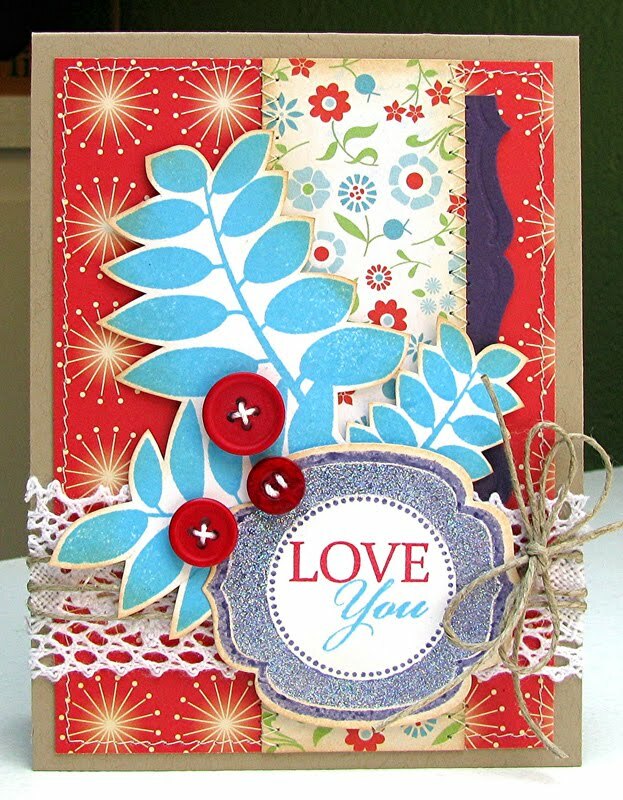 Be sure to head over to the Papercrafts Magazine blog where they are giving away Wplus9's Poinsettia Patterns stamp set to two lucky commenters! I used a ton of product on this little number and have to admit, I quite like it. It's not award-winning by any means...but it is definitely so far from my usual, that I just have to feel a little bit good about it. Color - color plays a huge part here. The colors can be contrasting or similar, but you definitely need something crisp to keep the colors from becoming too muddy. Trust me, there is a fine line between shabby and dirty. 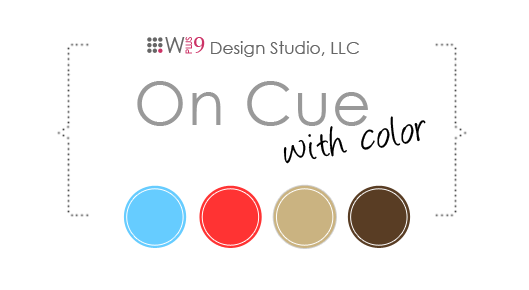 Soften The Edges - if the color is dark, soften it with white. If it is light, soften it with brown/tan. 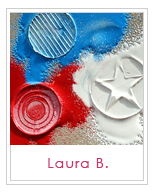 Use a paint brush to apply or a blending sponged, be random, no deliberate pattern here. Pattern - embrace the power of a pattern. 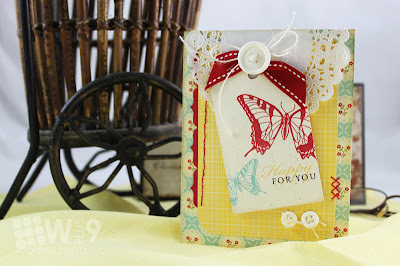 Almost any pattern can be incorporated into a shabby chic card. Even if the colors seem to bright or the pattern too bold, refer to "Soften The Edges" and take it a step further and consider a spritzing with a Glimmer Mist to tone it tone a bit. 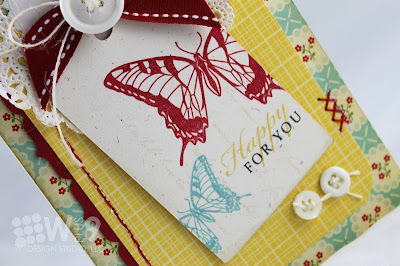 Bring It Into Focus - Create a focal point with a group of smaller items that can be viewed as a whole - A die cut with a sentiment, a die-cut embellishment, and a tag perhaps. Just like with CAS, follow the rule of thirds, guide the eye, and bring it to the focal point. 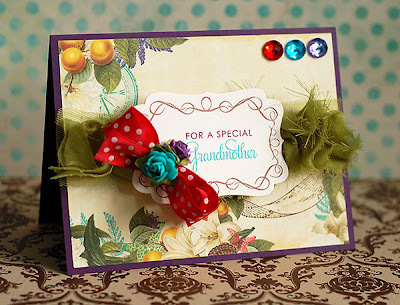 Embellish, Embellish, Embellish - this part can be tricky, you can quickly end up with something that looks like grandma's trunk just exploded on your card. 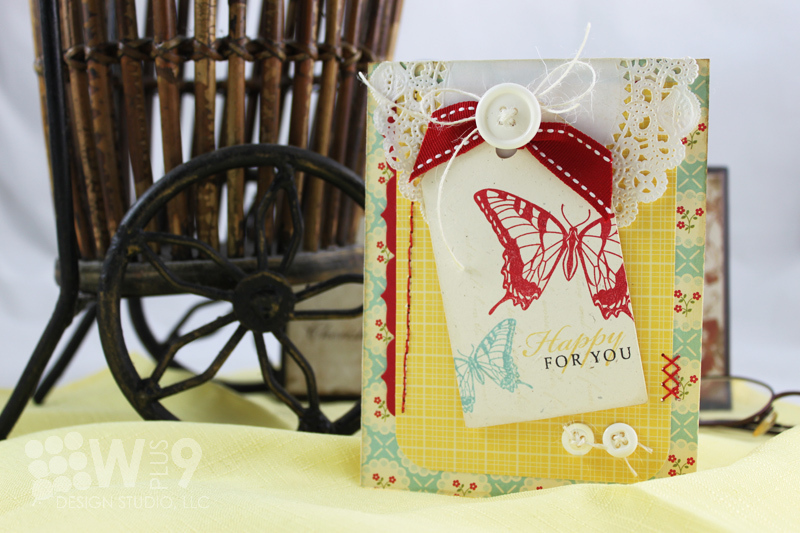 Cluster your embellishments in groups of three to start - a ribbon, a button, and a twine bow. 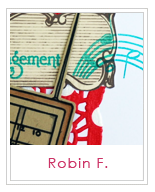 Or perhaps a ribbon, a flower, and a stickpin. Don't Forget The Lace - yeah, I don't care how you incorporate it - with a doily, trim, fabric, stamp it...just get it on there! 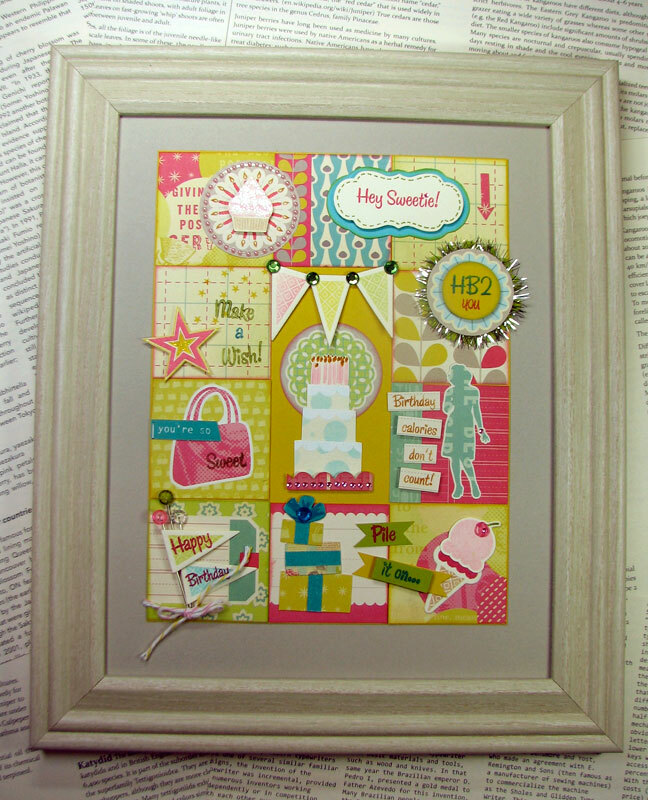 So there you have my - totally amateur - break down of the anatomy of shabby chic. Just my findings...feel free to add any pointers, I will take all I can get. Learning something new is always fun! 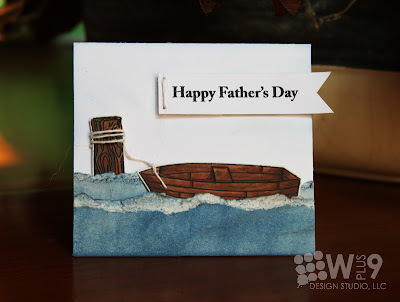 How was your Father's Day weekend? Ours was fantastic. I just have to take a small moment to say thank you to my husband -(cause I know he's reading) for being the most amazing father ever. We love you! 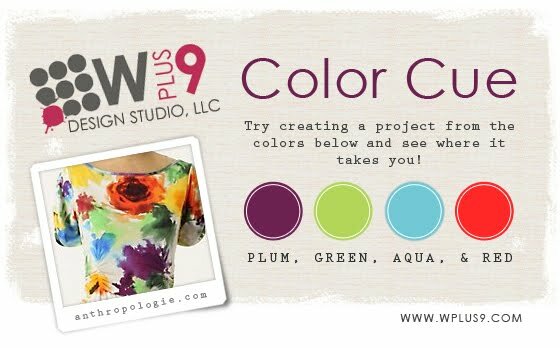 Create a card, scrapbook page, digital layout, tag, whatever...just make sure to use the colors noted in the graphic above. 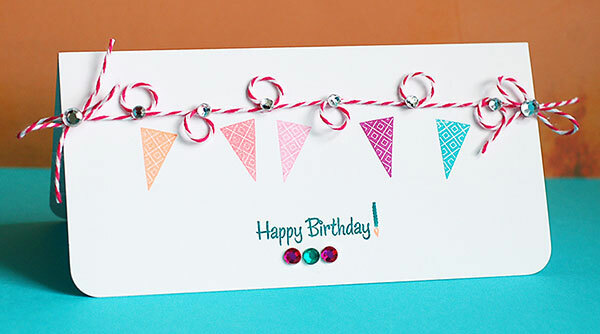 This month we are using Plum, Green, Aqua, and Red. As always, white/cream and/or black/brown is allowed for neutrality. You have until July 7th at 10:59 pm EST to play along. You will know the deadline has passed when the link to add your project is no longer available. 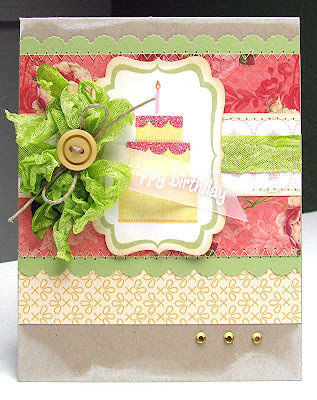 For my card, I wanted to focus on those fabulous bold colors. 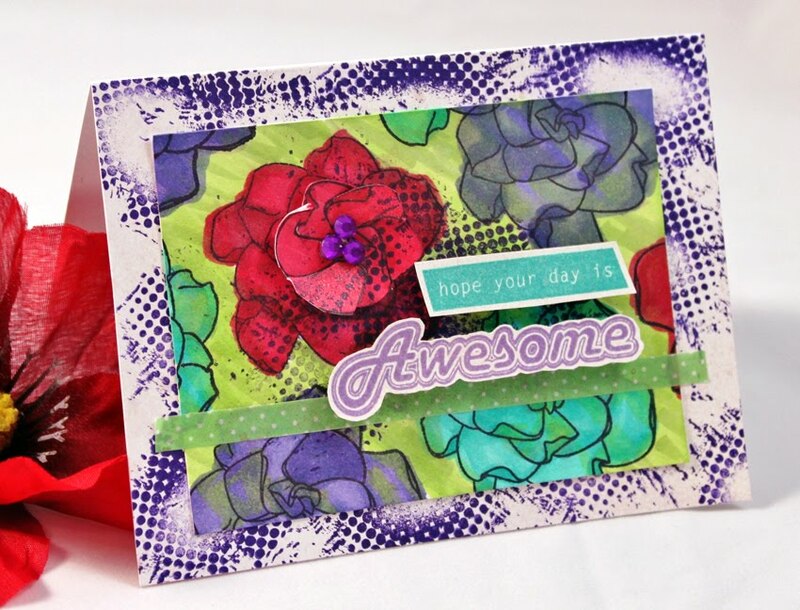 CAS/Bold & Graphic cards are my go-to style when dealing with vibrant colors. I find it easier for me to balance the colors with lots of white space. I used Design Basics: Backgrounds II to create the strips of vines in rainbow fashion. I masked off a strip about 2/3rds of the way down to add my sentiment from Funky Foliage. 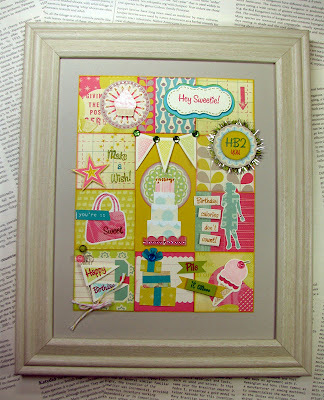 To frame the focal point, I used the dotted journal line from Pile It On. Congratulations Amber! Email me at dawn@wplus9.com with your choice of stamps! 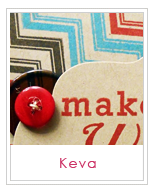 Hello bloggies! I hope you have all had a fantastic weekend. Ours was fantastic! Kerrianne and I were finally able to get together for a birthday dinner and movie. OMG, Bridesmaids was hilarious! If you like over-the-top female comedy...this is the one. We laughed so much. 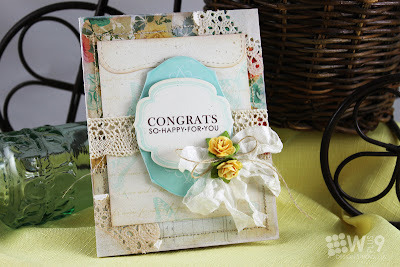 I've got an elegant and simple one layer card and video to share with you. This layout makes a fantastic, fast and inexpensive card set. Thanks for stopping by today, hope your week gets off to a great start. I love her use of Design Basics: Backgrounds I tucked behind that beautiful bow. The glittery icing and the vellum banner with the embossed sentiment is just the icing on the cake. I'm a sucker for the broken journaling line paired with the fun banner. The little bows are the perfect finishing touch. Kerrianne is always so fearless when it comes to color and patterns. Bravo! I really love that every time I visit Lea's blog, I can count on finding something that makes me go "why didn't I think of that?!". Seriously. The little loopies in the twine paired with the detached "pennants" (which are really ice cream cones)...a fantastic touch that takes this from "been there, done that", to "gotta try that"! And did you notice here "exclamation point"? She's on fire! Savitri really has a way with simply chic. Love the way she's punched holes in the pennants to string her twine through, and the fact that she has intentionally layered and bunched them together. Her work always seems so effortless, kind of like that girl, you know the one...the one that rolls out of bed and without even trying, looks fabulous (cough, Kerrianne, cough). OK, I literally squealed when I saw this. 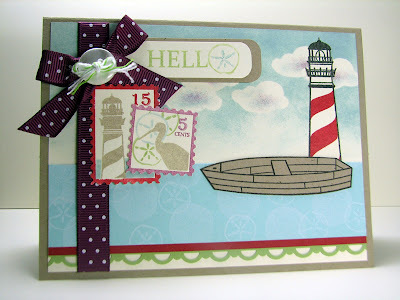 If I were to be reincarnated, it would be as a stamp, and not just any stamp...a stamp in Ms. Elise's craft room please! The thought, the time, the creativity just oozes from everything she does. I can't believe she created this super fun collage using just Pile It On for all but 3 stamps! Can you find them, can you name the set they come from? 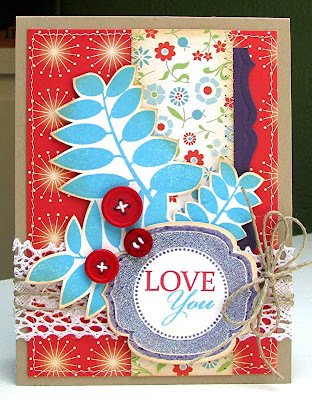 First I am amazed at how Jean has taken this traditionally fun and graphic stamp set, and incorporated it into her shabby-chic style. 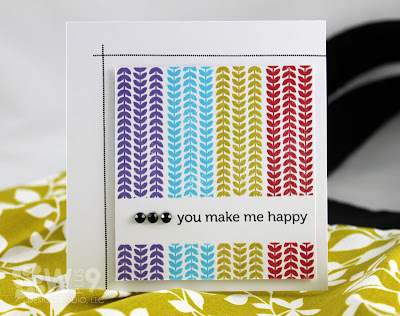 I will admit, I feared that I might be throwing her a curve ball for her first stamp set on the Design Team. I didn't fear whether she could handle it, I worried that she would hate me. LOL But I have got to bow down and admire how amazingly well she has showcased just how versatile this set is. 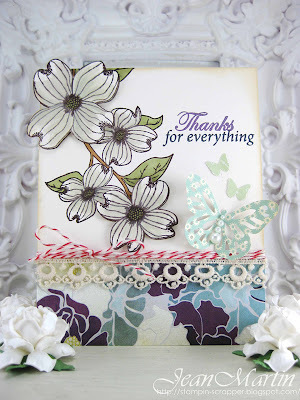 Did you see her samples yesterday? Amazing. I am convinced that Cristina could craft with with her eyes closed and one hand tied behind her back! Her color choice is divine, execution is flawless, and the balance couldn't be more perfect. I especially love the fact that she chose black for her sentiment. 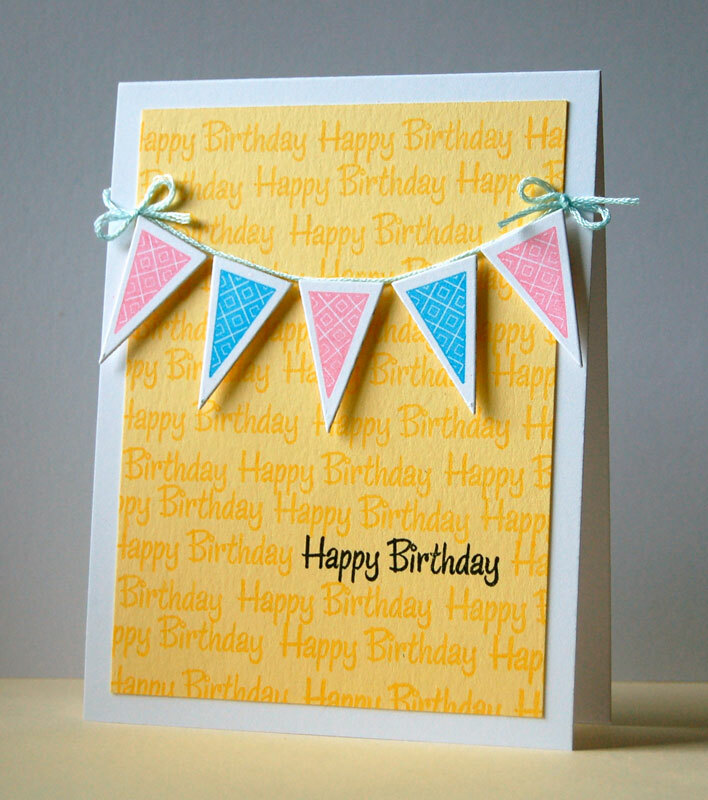 The heavy color draws the eye down and keeps the design from feeling top-heavy. 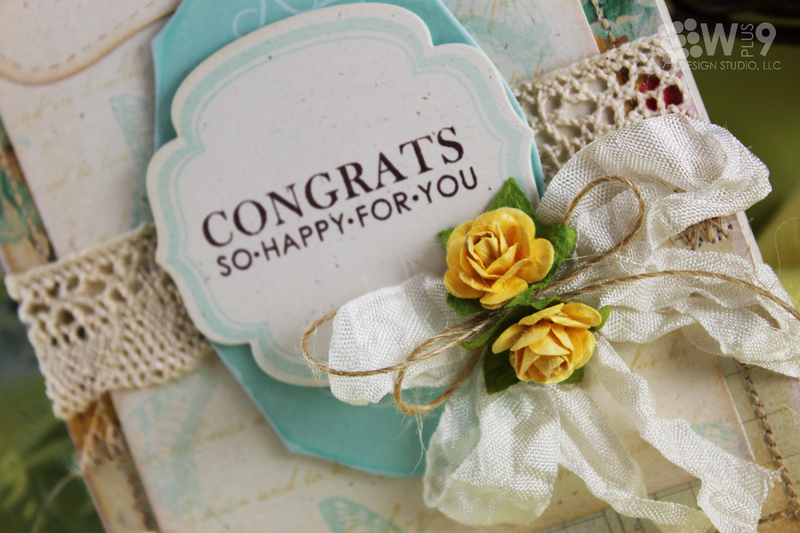 If you've made it this far...CONGRATS! Sorry to ramble on, but the Design Team is so amazing and I don't always get to comment on their posts during the release. So I like to take a little extra time when I can and show them some love. 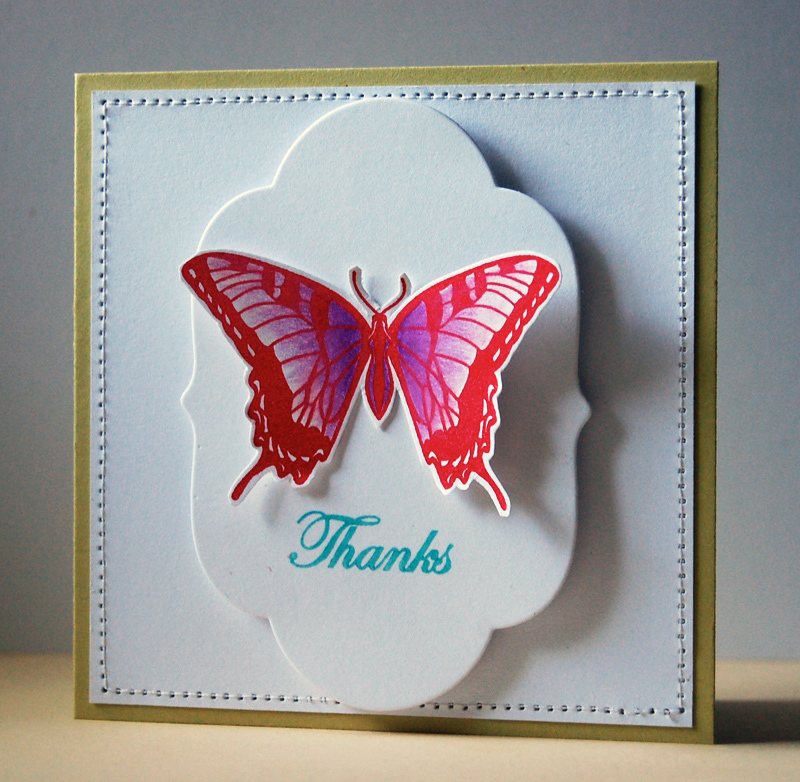 Thank you so much for joining us for another fantastic release!